To learn more about how you can source passive candidates through your employees' social networks, download our ebook 6 Strategies to Accelerate Employee Referrals. Sign into the job site. Review 250 applicants (the average number of resumes submitted for a job board listing). …. And realize that not one of them is a good fit for the position you’re hiring. Sound familiar? This is all too often the experience of recruiters and hiring managers who focus on traditional recruiting models like job boards and career sites. But while these technologies may excel at casting a wide net, more often than not they fail to deliver the candidate you need – because the best candidate for the job isn’t always looking for a job. According to LinkedIn’s Global Talent Trends 2015, 70 percent of the global workforce are passive candidates who aren’t actively looking for a job. This makes it highly likely that – especially for critical roles – the best person for the job opening you have isn’t looking a job and isn’t likely to see your listing. When passive candidates review job listings, there’s no pressure to click through – they can afford to be picky about prospective employers, so they’ll skip right over job listings that are demeaning, boring, or otherwise not-compelling. That puts a lot of pressure on the accuracy of the job description and your hiring manager’s copywriting ability. When an employee referral introduces you to a passive candidate, however, the relationship is already bigger than a job description. The combination of the listing, the employee relationship, and the warm introduction sets you up to have a robust connection right from the start. Employee referrals play a big part not just in locating passive candidates but making them feel comfortable enough to consider working for your company. 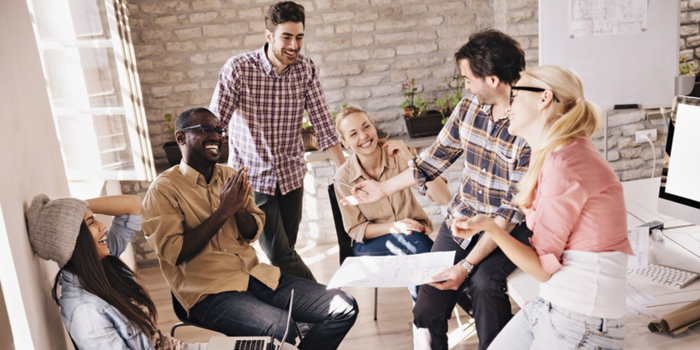 After all, 76 percent of candidates trust employee referrals above all other sources, 50 percent go first to friends and colleagues to discover new opportunities, and 73 percent have approached friends, family, or a professional connection for a referral in the past 6 months. (By the way, that’s why the website review company Glassdoor is so popular: prospective candidates are more likely to trust reviews by peers than employer branding and media coverage). Americans average 634 social media connections each, but we can only remember about 150 close relationships at a time. Even fewer are the relationships we can think of immediately and accurately when we’re asked to refer a friend or colleague for a position at work. Translation: when you ask if they know someone who could work at your company, often employees simply can’t remember who in their network is looking for a job at a particular time. Leveraging your employee’s networks for passive candidates through powerful search technology allows employees to tap into their networks without asking employees to remember all the details by themselves. (Want to jumpstart your employee’s memories manually? Ask more specific, manageable employee referral questions). When you need to fill a role with a candidate with a specific skill, the best person for the job won’t always have their resume posted to job boards or be actively looking for a position. The best and only way to reach these talented passive candidates is to tap into the power of your employee’s professional networks by encouraging employee referrals.